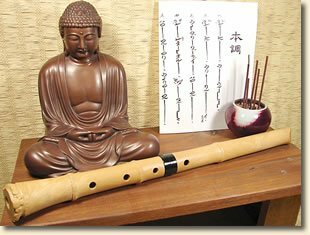 The shakuhachi flute is an ancient instrument; known and appreciated for its mystical sound and expressiveness. 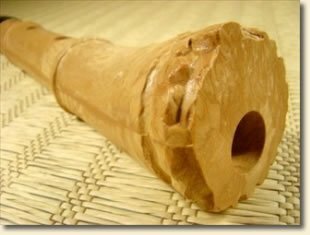 Originally, the shakuhachi was used as a spiritual tool to relax the mind and body. 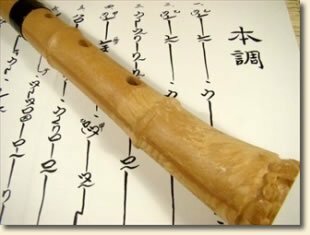 Today, the shakuhachi is used for this same meditative purpose and for playing a wide variety of modern music as well. 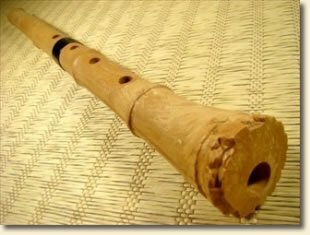 Designed by a world famous Japanese musician in 1976, the 1.8 size Shakuhachi Yuu is a quality, well tuned instrument, available at an affordable price for anyone who wants to play shakuhachi. With its precision bore design, the Shakuhachi Yuu plays easily, with a clear, bright and confident tone. The Yuu has good sound quality, accurate musical intervals, and excellent tonal balance throughout the entire musical scale. 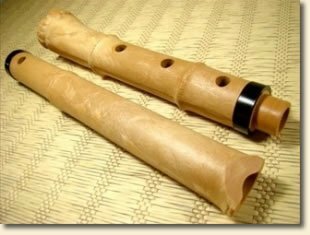 The Shakuhachi Yuu is a perfect student shakuhachi for beginning players who want to experience the shakuhachi without spending a lot of money. 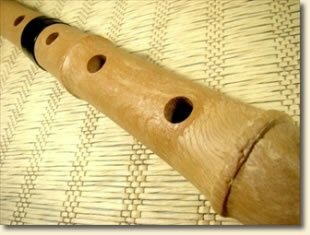 There are also many advanced shakuhachi players and teachers around the world who enjoy having a Yuu in their collection as well. Please read some of the excellent endorsements from professional players and teachers! One of the best things about the ABS Resin Shakuhachi Yuu is that it does not require maintenance like bamboo! You can take this flute with you wherever you go—traveling to foreign countries, hiking, backpacking, to the beach or desert—all without the slightest fear of the instrument being damaged. The Shakuhachi Yuu will withstand any weather conditions, you can even play it in your bath or in a hot tub under the stars! 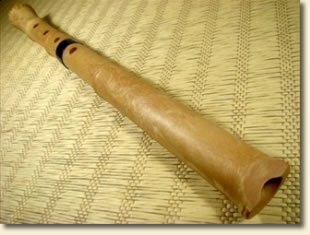 The Shakuhachi Yuu feels very similar to professional bamboo instruments in terms of its size, shape, and weight. It is extremely rugged in its construction and disassembles easily for travel. 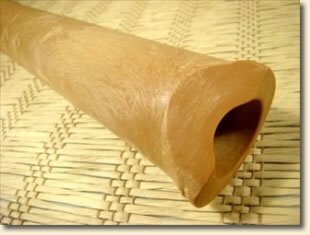 Please do not let the fact that the Shakuhachi Yuu is made from ABS plastic resin fool you or turn you away from owning one. 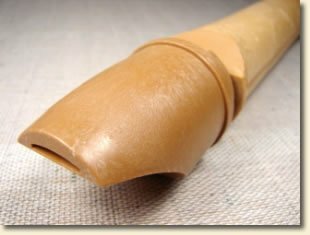 The Shakuhachi Yuu is an excellent instrument, endorsed by numerous teachers and players, and the Yuu performs as well as some of the more expensive professional bamboo shakuhachi! If you would enjoy the opportunity, a free 60-minute introductory online shakuhachi lesson with Grand Master Michael Chikuzen Gould will be included with your purchase of a Shakuhachi Yuu! After your purchase you may contact Michael to arrange a time for your online shakuhachi lesson. 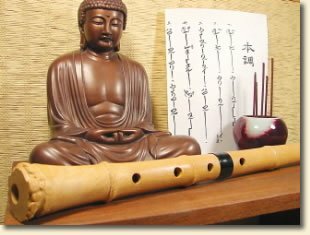 This is a wonderful opportunity to learn correct posture, how to hold the shakuhachi, how to easily produce sounds, how to read basic notes for the shakuhachi, and hear what the Shakuhachi can sound like by hearing Michael play! 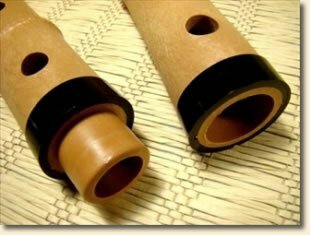 You may purchase the Shakuhachi Yuu with full confidence. If you are not completely satisfied within 3 days of receiving the Yuu, you may return it for a refund. The Shakuhachi Yuu must be returned in its original condition with the label still intact. The original cost of shipping and return shipping cost will not be included in the refund. Your purchase helps support Naljor Prison Dharma Service / SourcePoint Gloal Outreach, a 501(c)(3) nonprofit organization. We provide teachings of non-violence and compassion to those in prison throughout the USA; supply solar power flashlights to villages in developing countries without access to electricity or adequate lighting; distribute The SourcePoint Practice, for cultivating the true qualities of the heart and living a more heart-centered life; provide education for lowering one’s exposure to harmful electromagnetic radiation.